Don’t Let The Light Go Out™ aims to bridge the entire school community. We encourage homes that are safe and supportive to light one candle in the window to keep the messages of hope, safety, and empathy alive. Let your light shine today! Perfect blend of Lavender, Rosemary and Sage for that perfect moment! Topped with dried Lavender seeds. 100% Natural Soy Wax Candles, made by hand in Astoria, NY. Each candle is 8oz and burns for approximately 50 hours. Our Candles are made with natural, domestically grown, soy wax. We use cotton wick, exceptional numerous tested fragrance oils and color. Our generation is focused on healthier lifestyle and environment. We are centered towards eco-friendly, healthier and organic products. Then why not burn candles that serve the same purpose? We breathe the air inside our house so we should use candles that are more nature friendly, cause less toxic additives to their surroundings and do not contribute to pollution of the environment. 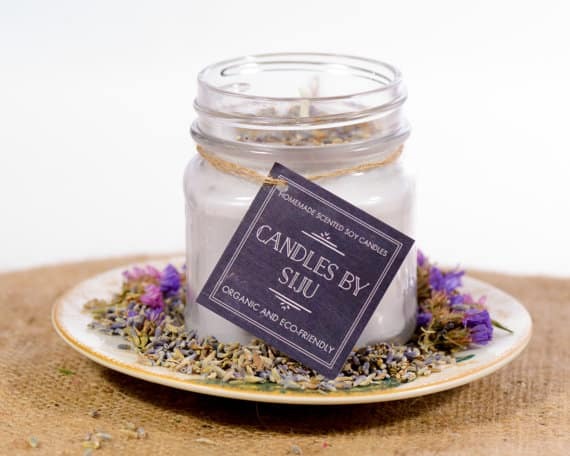 – Soy Candles have stronger fragrance throw! So get a custom made Soy Candles for you or your loved ones.